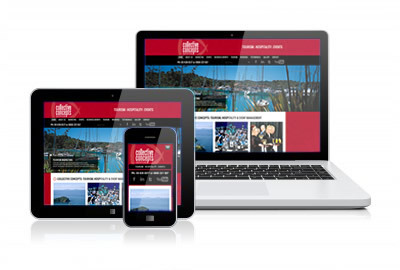 Your website can be converted to a mobile version so that it can be easily viewed in tablets and smartphones as well as a normal PC or laptop. Mobile Website Design is now more important than ever. Did you know that in the near future, Google expects over half of all web searches to be on some kind of mobile device? If you were using your smartphone to search for a website and had a choice between a website with a mobile version that was easy to use on a mobile phone and one that wasn’t, would you be more likely to make an enquiry, or spend your money with the business that had a mobile-friendly website? Sure you would! If you watched the video above, you know that people are searching on Google more on their smartphones than ever before. It really is a mobile internet revolution. Amazingly, around 98% of websites are NOT set up to work well on mobile phones. Having a smartphone-friendly website gives you a number of advantages over your competition whose websites only work properly on a desktop or laptop. We all like websites that load quickly and are easy to use. How annoying is it for your customers to have to rotate, enlarge and flick your web pages left and right to be able to read them! Frustrating your customers is not the way to start or build a great relationship! If someone is looking for information on your website using a smartphone, they already have the means to speak with you, right now, in their hands. Smartphone users are more likely to make contact with you because they are less likely to be just surfing for information than someone using a normal computer. They have a specific goal in mind. Where are you? What’s your phone number? Having a prominant phone number that the viewer can click on to phone you is a feature of a mobile optimised website. But I don’t need/understand/want a mobile website design! Unfortunately for the more techno-phobic amongst us, the world marches on regardless. As Google explained in the video above, mobile searches are growing at such a high rate that a mobile website design is essential to retain your market share and continue to grow. If you are not making it easy for your customers to contact you using a smartphone, one of your competitors will be. The opportunity to increase your online business right now is huge because so few businesses have a mobile optimised website yet. If you had a smartphone-friendly website now, you would be in the top few percent of businesses in the country.